The water cycle is a year three science concept with some challenging elements: evaporation, condensation, and precipitation. While precipitation (rain, snow, and hail, for example) and condensation (water droplets collecting on a cold beverage glass, for example) can be seen with the human eye, evaporation is much less visible a process. So how can you make this challenging science concept more visible to your second grader? Try this activity, in which your budding scientist collects information about a puddle that seems to disappear before his very eyes! 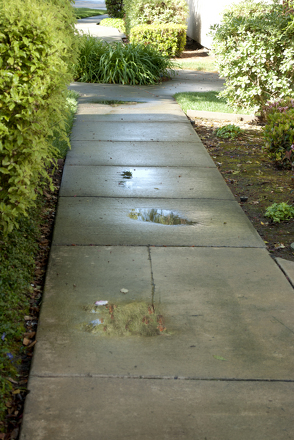 Find (or create) a puddle of water on the sidewalk on a sunny day. Have your child use sidewalk chalk to trace the outline of the puddle on the sidewalk. On the chart, record information about the initial puddle observation. 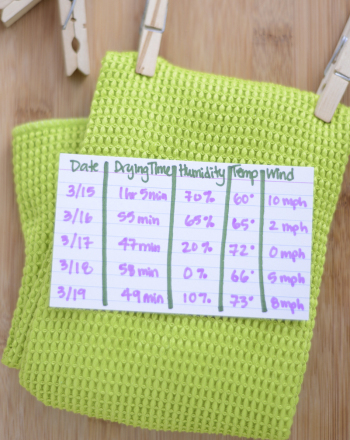 Have your child write the time that the first puddle outline was created. Then have your child use a colored pencil the same colour as the sidewalk chalk outline to draw an illustration of the outline on the right side of the chart. In one hour, come back for another puddle observation. Ask your child: Has the puddle changed? How? Why has the puddle changed? Repeat at hourly intervals until the puddle has disappeared. Have your child look over the information on his chart, and explain what he notices about the information he has collected. In general, he should notice that over time, the puddle got smaller and smaller, but basically stayed the same shape. Ask him to consider where the water went.